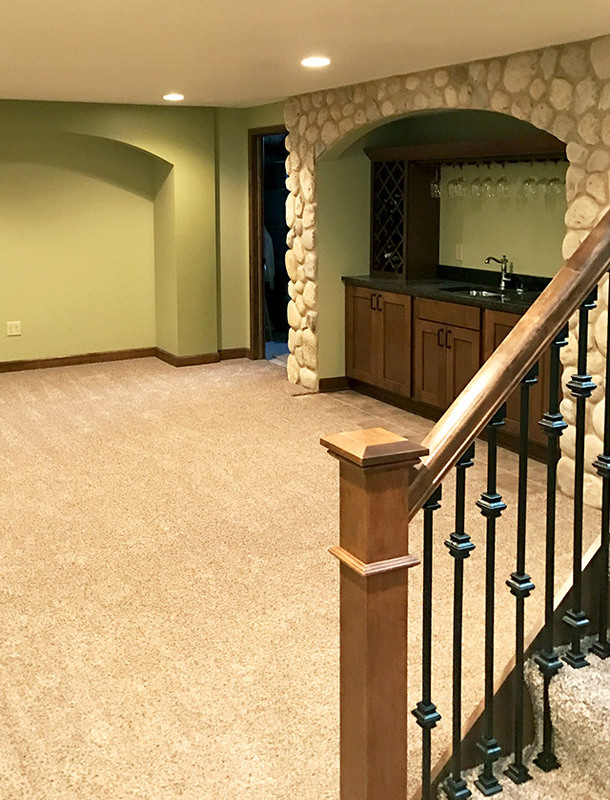 For this project, our clients wanted to completely reshape their basement and create an entirely new living space for their home. 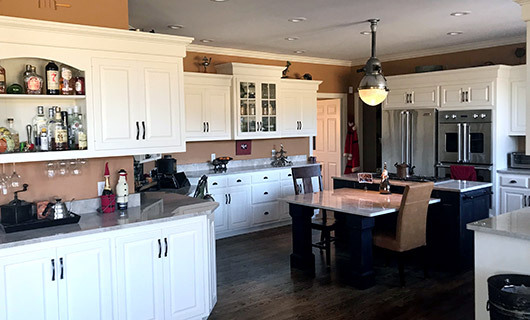 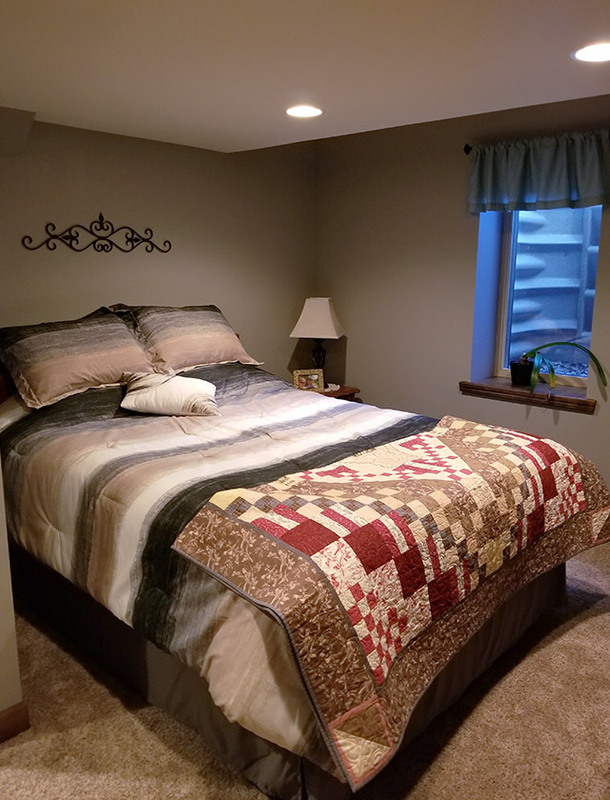 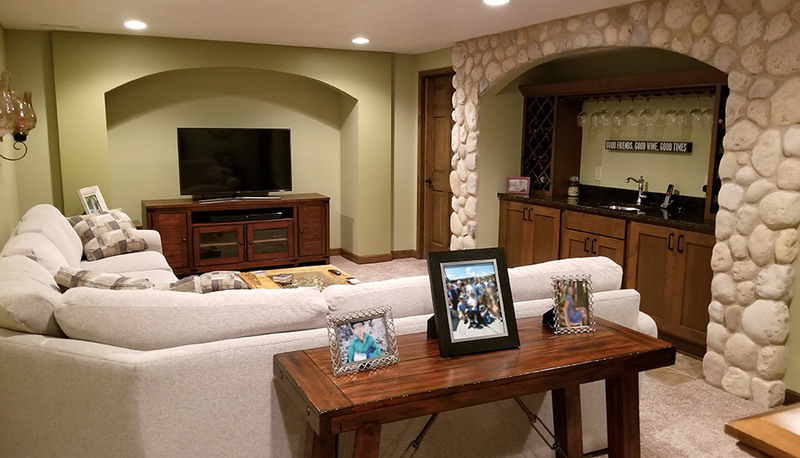 This basement remodel included plans for an additional bedroom, a full bathroom, and a new entertainment area with a custom bar. 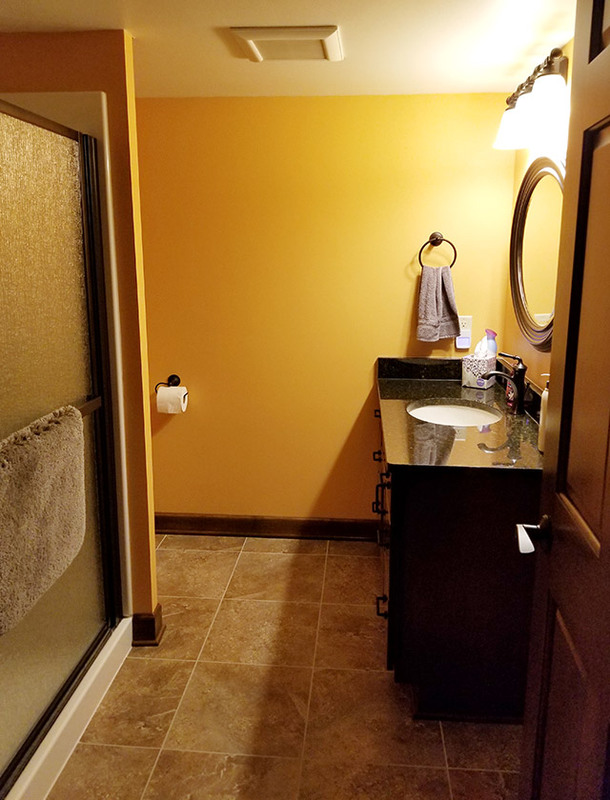 We worked with our interior designer to create a floor plan that made the most of the available space to accommodate all of their needs. 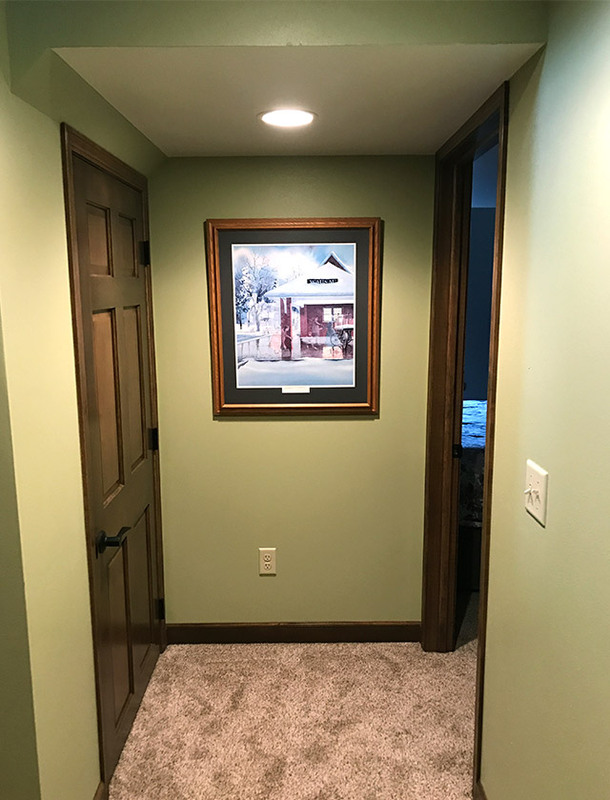 To create separation in the space, we built in a hallway from the base of the stairs leading to a brand new bedroom and full bath. 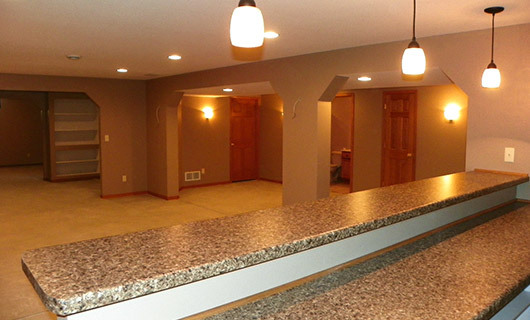 The opposite side of the stairs now opens up to a large entertaining area with a full wet bar. 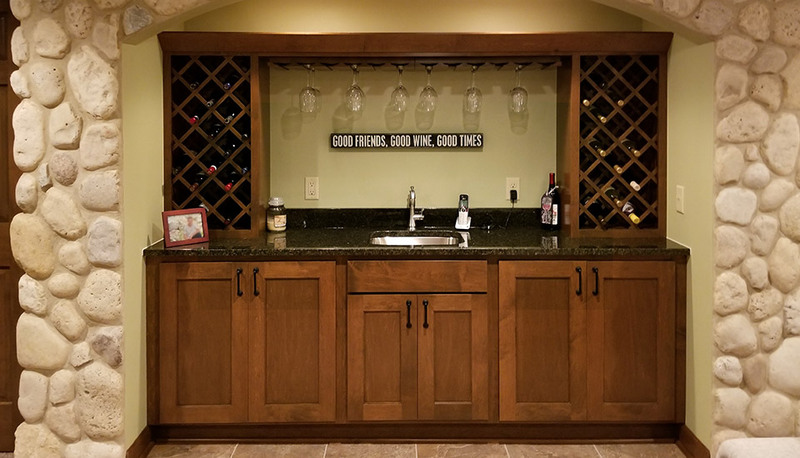 To complete the space we added a few key details like a custom cobblestone archway above the bar, custom cabinetry, and custom closets and doors throughout the space. 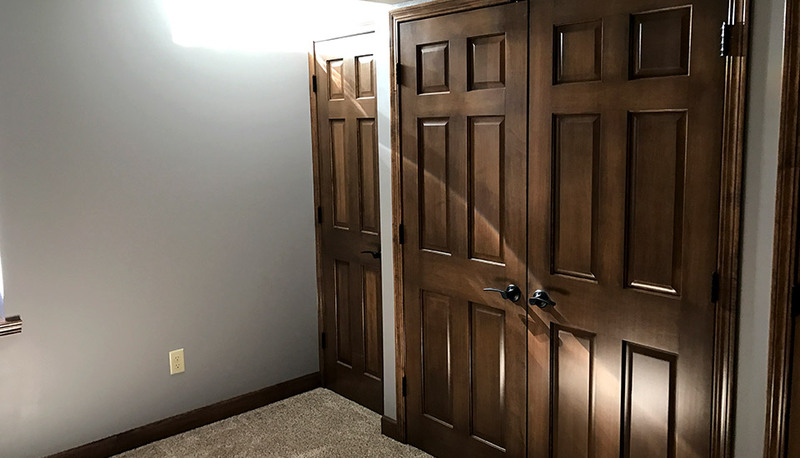 With safety in mind, we also added an egress window. 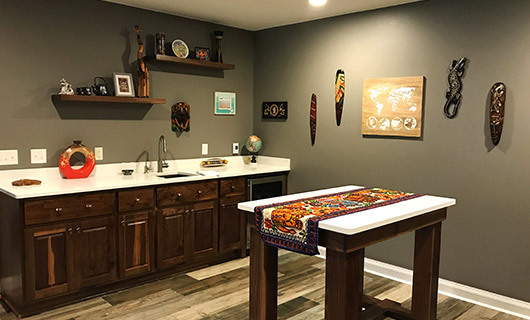 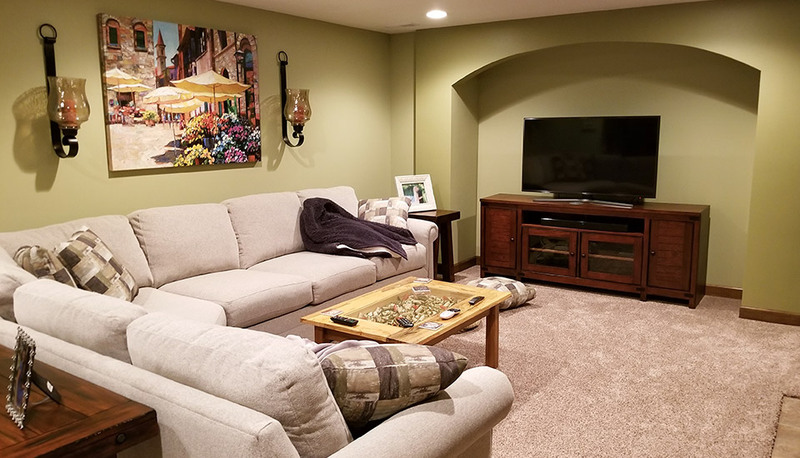 This basement remodel added an incredible amount of square footage to our clients’ home and doubled the area they could use to entertain friends and family!